Our thoughts are with Bad Cop / Bad Cop's Stacey Dee. 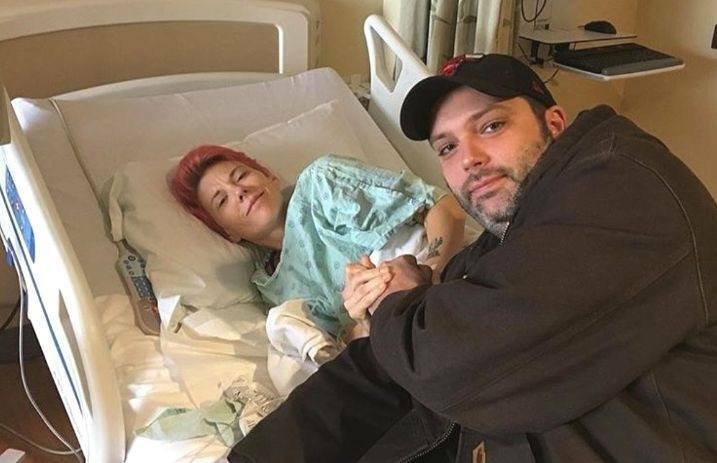 The guitarist and co-frontwoman for the punk band has been hospitalized following an abscess that led to sepsis, an infection caused when chemicals released into the bloodstream to fight the infection trigger inflammatory responses throughout the body. To support the cause, you can pick up a Stacey Dee shirt, with all money from sales to help with her medical bills. Get well soon Stacey! We love you! @staceysrad from @badcopbadcop is in the hospital. She needs some love and help from the punk community to pull thru this. Head over to @dasowth.sgh’s profile for a link to buy a Stacey Dee shirt. He’s giving her all the money from sales to help with her medical bills. Repost from @dasowth.sgh Bad news. @staceysrad had to be taken to the ER last night. She has some kind of abscess that lead to sepsis. I don't have much on the detail front, but she will be unable to join us for the tour starting tomorrow. I've put her tour shirts up on Anxious and Angry and will be giving all the money to her. She is without a source of income for a while, so grab one if you can. Link in bio. Shirts are currently available here, and we wish Dee a speedy recovery. Next articleDoes this mean a ‘Friday the 13th’ reboot is happening?